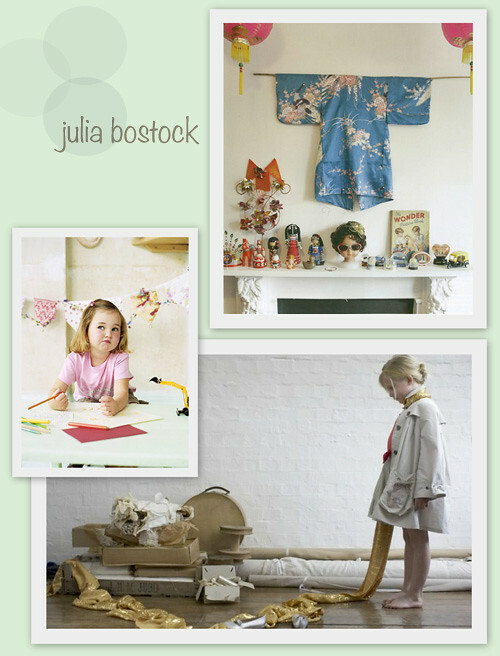 I recently received a most lovely friend request on Facebook from London-based photographer Julia Bostock. Have you heard of her before? 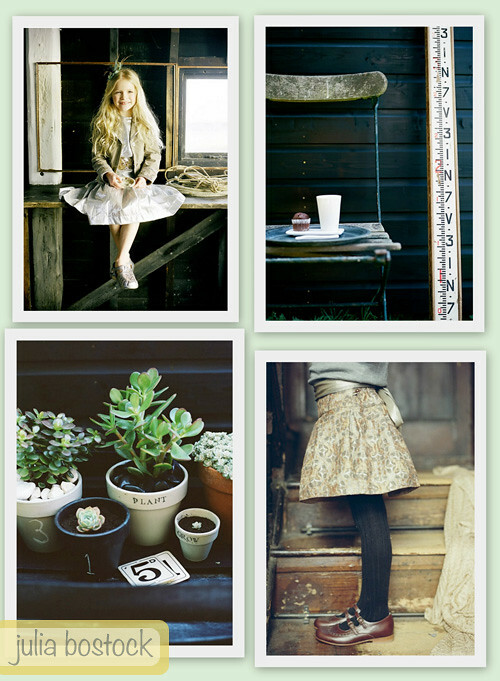 When I clicked over to her website to view her portfolio I was captivated by the things that I saw. Julia has an incredibly sensitive eye when she shoots, from the way she captures light so softly to how natural the children look that she shoots (never stiff or catalog-y), I am really keen on her work and wanted to point you over to this talented photographer today. 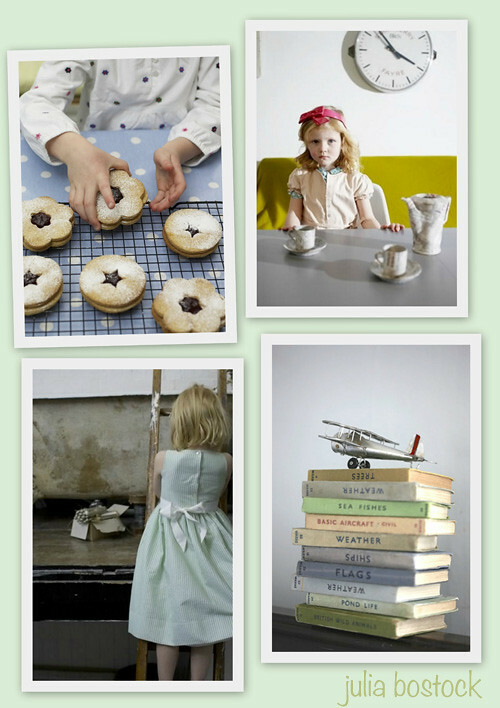 Though her work is primarily based on children and lifestyle, I couldn't help but think it fits decor8 nicely given the moods of those I've selected as some of my very favorites. I hope that you enjoy them too. It's nice to see how the pros are photographing children these days, isn't it? There are so many variations, some approach it very naturally while others meticulously pose their subjects perfectly. I imagine those of you out there who are mothers have already found your photographic style when it comes to taking shots of your little ones. What is your style when shooting? Have you ever given it much thought? Are you children often posing or looking into the lens or do you tend to sneak up on them and catch moments as they occur, when the child is playing or dancing around - perhaps without even noticing that you are there capturing their very special magic? I often wonder how I'll photograph my future kids and I imagine most likely like I style interiors - with a very spontaneous, casual approach without a great deal of planning. I like to capture the moment as it is and not go through a lot to 'create' the moment. It's interesting to think about though, isn't it?